LAS VEGAS — April 7, 2019 — Sony Electronics has announced an addition to its UWP-D series wireless microphone systems, offering superior sound quality with support for Multi-Interface Shoe™ (MI shoe) and a new Digital Audio Interface. The UWP-D series enables direct digital audio recording and delivers high sound quality with low noise by skipping the D/A and A/D process in combination with a new SMAD-P5 MI shoe adaptor and Sony’s PXW-Z280 and PXW-Z190 XDCAM camcorders, which will enable this capability through a firmware upgrade planned for September 2019. The new UWP-D can provide audio information on the viewfinder for enhanced usability in the field. 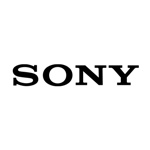 Sony will exhibit the new systems at NAB 2019, Booth #C11001 at the Las Vegas Convention Center from April 8-11. The new UWP-D series microphones include a unique “NFC SYNC” feature, which provides a frequency setting between the transmitter and the receiver. The wireless systems’ reduced size and weight enable the mobility required for a wide range of applications, including news, remote, documentary, sports and wedding production. The new UWP-D series offers easy integration with Sony XDCAM camcorders, the PXW-Z280 and PXW-Z190. It shares audio information such as RF level meter, audio mute status and low battery alerts for the transmitters, and displays them on the viewfinder. Utilizing the SMAD-P5 MI shoe, audio signals are transmitted from the wireless receiver to a connected camera without a cable connection. Power is managed effectively because the wireless receiver can receive power from the camera, while the camera can synchronize power on/off with the receiver. SMAD-P5 is compatible with select models of Sony cameras that have MI shoe with analog audio interface. The UWP-D series is compact and lightweight for versatile operation in range of applications. The new UTX-B40 bodypack transmitter has been reduced in total weight by approximately 20 percent when compared to previous models. The length of the URX-P04 receiver with the new SMAD-P5 MI shoe adaptor has been drastically shortened, making it easy for use with compact camcorders or smaller digital cameras with interchangeable lenses.